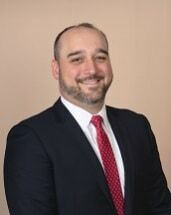 Jose H. Garcia is a Shareholder/Attorney at Cuevas, Garcia & Torres, P.A. His primary fields of practice are Community Association Law and Commercial and Real Estate Transactions/Litigation. Mr. Garcia received his Bachelor's Degree in Accounting, from St. Thomas University in Miami, FL (2007). He received his Juris Doctorate from Florida International University College of Law in Miami, FL (2011).